Priest: Pray, brethren that my sacrifice and yours may be acceptable to God, the almighty Father. People: May the Lord accept the sacrifice at your hands for the praise and glory of his name, for our good, and the good of all his holy Church. In preparation for the Eucharistic prayer we prepare and present ourselves for sacrifice with Christ. The new translation of the part of the priest more closely reflects the original Latin text which referred to “my” sacrifice and “yours.” The “my” part of the sacrifice points to Christ’s sacrifice which will be made present through the priest acting in “persona Christi”. The “your” part refers to the entire body of the Church who offers itself in union with Christ at Mass. 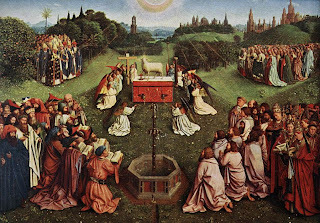 We respond by asking the Lord to accept both Christ and our own sacrifice united through the power of the Holy Spirit by the hands of the priest for the good of Christ’s holy Church. 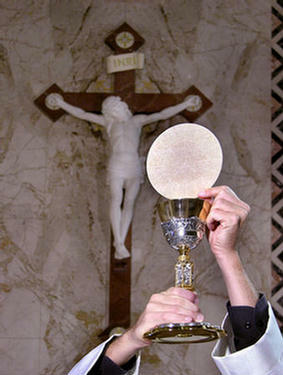 This part of the Mass is most significant to the Body of Christ. We are so used to saying the words but do we really understand what we are asking? 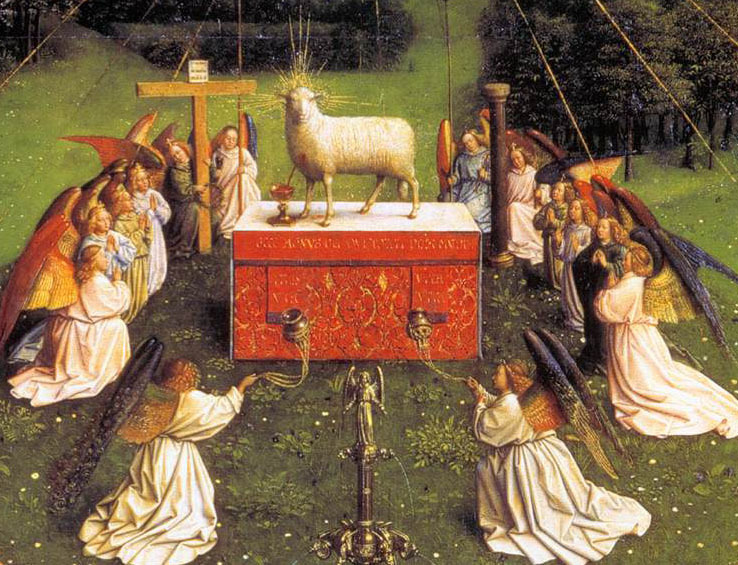 Jesus Christ, body, blood, soul and divinity is about to be made present on the altar. 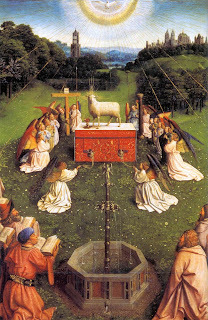 Heaven will touch earth at the moment of consecration and the united sacrifice of the Mystical Body of Christ, the Church Triumphant, Church Militant and Church Suffering will be unified during the Eucharistic sacrifice of the Mass. The bloody sacrifice Christ made for us on the Cross of Calvary and the non-bloody sacrifice of the Eucharist are one single sacrifice. And we are asking God to allow us to participate with Our Lord in his sacrifice by joining our life’s sacrifices, joys, sorrows, achievements, concerns, praises and thanksgivings to his. Talk about awesome, this is awesome. This is a profound offering we are participating in, we who are many are truly one in the body in Christ. Our new response “It is right and just,” is actually not new. It is a literal translation of our response in the Latin Mass, “Dignum et iustum ets.” another example of Liturgiam Authenticam. There will be noticeable changes in the four Eucharistic prayers, but that will be for another commentary. Our next response will come at the end of the preface of the Eucharistic Prayer, that of the Sanctus or Holy Holy Holy. 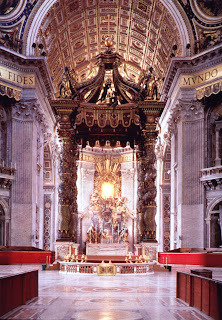 The Sanctus was added to the Mass by Pope St. Sixtus in the 2nd century. Usually sung, this hymn is composed of two parts. The first part is where we will notice a change. 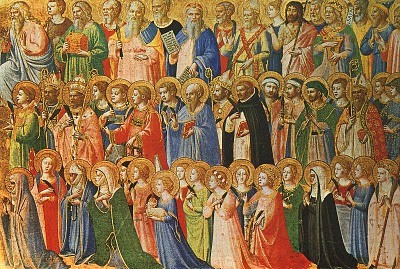 Instead of “Holy, Holy, Holy Lord, God of power and might, heaven and earth are full of your glory,” we will sing, “Holy, Holy, Holy Lord God of hosts. 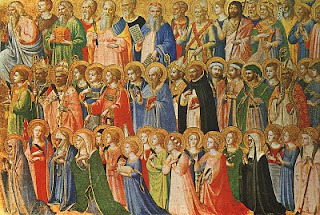 Heaven and earth are full of your glory.” This again is a direct literal translation of the Latin, “Sanctus, Sanctus, Sanctus, Dominus Deus sabaoth.” This idiom also comes directly from scripture as the angels praise and honor our Lord with Holy, Holy, Holy Lord God of hosts in Isaiah 6:3. This is no ordinary meal we are being invited to partake of. At this meal, Christ gives His Body on the altar, to His bride, the Church. 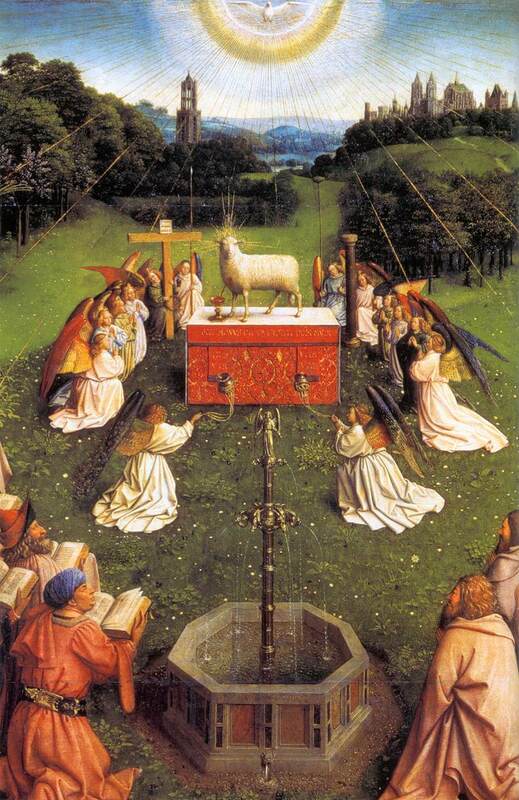 We are then called to consume Our Lord’s Body in an intimate communion. This communion is likened to the marital union of husband and wife. 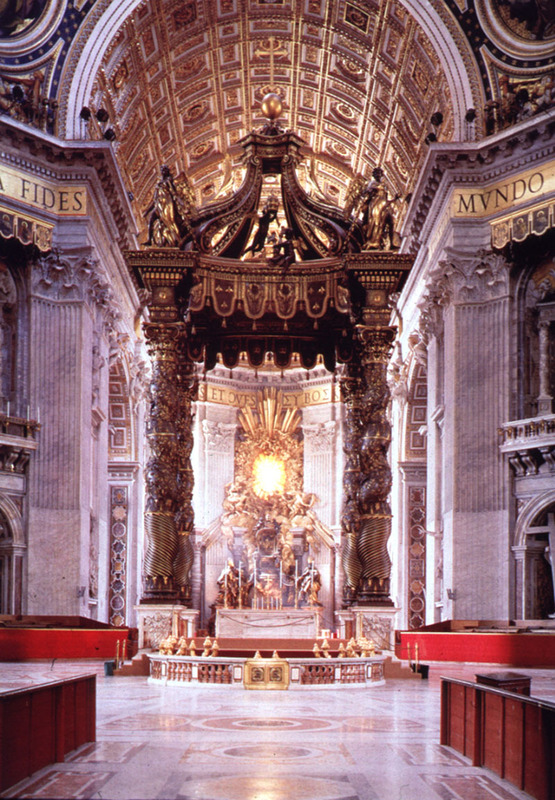 It is significant to note that the baldacchino (canopy, Chuppa) built over the main altar in many cathedrals represents the wedding bed. At the altar, under the baldacchino, we the Church (bride) join Jesus (bridegroom) uniting with Him in an intimate communion. 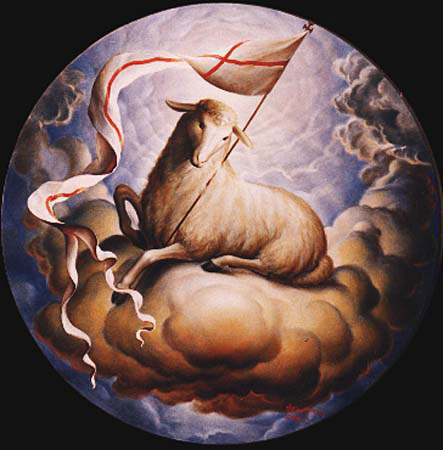 This is what being “called to the supper of the Lamb” represents. These words are the humble words of the centurion to Jesus. In the gospel of Matthew and Luke we read of the Roman centurion who appealed to Jesus for a cure for his servant. Jesus said that he would come and cure the servant, but the centurion responded, “Lord, I am not worthy to have you enter under my roof; only say the word and my servant will be healed.” (Matthew 8:8, Luke 7:6-7) With this response we recognize ourselves, like the centurion, not worthy to take Jesus sacramentally into our souls (under our roof) during communion. Just as the centurion trusted in Jesus’ mercy and ability to heal, we too state our unworthiness but trust in Jesus’ ability to heal us and make us a worthy vessel to receive him, body, blood, soul and divinity as an intimate guest of our souls. Blessed Advent to All from Lynn's Timeless Treasures Devotional Gifts of Faith.